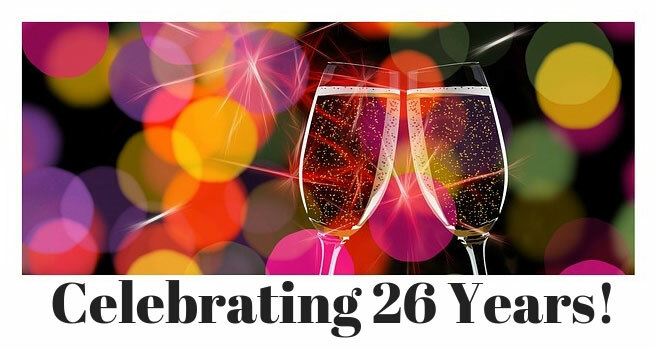 26 Years … WoW! | SeibCo, LLC. Celebrating 26 years! WoW! My clients are winners and great communicators, team members, bosses and leaders! I still remember October 7, 1992. On that fateful day, I was sitting in my newly created home office in Livonia, Michigan. I asked myself, what do I need to do to become successful? Because of the tough challenges I experienced in corporate America, I had learned a lot. But, how does that help me as a new business owner? At that moment, I made a commitment: Success will be measured my ability to use what I’ve learned and help others succeed! The results from the past 26 years? I’m an award winning executive coach, speaker, author and Authorized PXT Select Partner. Today, I’m sitting in my office in the metro Denver area smiling. 15 years ago I pursued one of my long-time dreams of moving to Colorado. My goal: enjoy the sun, drier climate and Rocky Mountains. Earlier this summer, a long-time mentor, Leslie Charles, interviewed me about my journey to fulfill this dream. Her “groundbreaking” book on how to fulfill your dreams will be released in Fall, 2019. So what’s next? I want to travel, speak, coach and write more, buy a home and adopt a dog (I’ve always adopted cats). And, I’d like to become a bestselling author. Thanks to the guidance from Judith Briles and other authors this could become a reality in the future. In Judith’s newest book, I’m featured in Chapter 3, “How to Create a $1,000,000 Speech”. Many of you have dreams and goals too. Some are in hot pursuit. Some of you have given up after experiencing setbacks and uncertainties. And, many of you are waiting until the “right time.” Some of you are making decisions based on your feelings or gut reactions. While some believe their situation is the best it can ever be. And, many of you have given up on believing in yourself and your abilities! We all have successes. And, we all have failures. Lamenting about the past doesn’t move anyone forward into the future or allow you to create new possibilities. I, like many of you, have experienced failures. I’ve learned how to learn from them and move forward. You can too. The secret is to hire a coach … but beware, it’s critical that the coach you hire is the right coach for you. This is what doing the work looks like: Recently I worked with a young man who had a goal of getting any job. After our first coaching call, he committed himself to a true goal. He wanted to become an executive director for a not-for-profit. First step, we took the time required to understand his strengths and weaknesses for that job. Then, he created his brags. He believed he was ready to network to uncover opportunities. The problem was after several weeks, he still wasn’t winning the interviews or job offers. Next, we uncovered several facts. When sharing his experiences, he failed to share his numbers. In his interviews, he didn’t talk about the organization’s mission and goals. He failed mention his ability to build a quality team. In just one targeted coaching session, he recommitted to his goal and completed the additional work required to achieve his goal. The result? He’s contemplating which executive director position to accept. My Biggest Brag This Year! The amazing results attendees gained from my “Get Your Brag On!” presentations. These interactive workshops touched my heart when participants shared their “brags!” They awakened their ability to speak up with confidence, “I did this …” “I achieved this …” “I matter.” In Jim Pawlak’s syndicated column, BizBooks, he was written a review of my book. Grab your copy of the book at It’s Time to Brag! Business Edition. I’m committed to the success of every person I work with. My trademark is being a catalyst and leadership expert. I have an uncanny ability to help business owners, executives and entrepreneurs identify hidden roadblocks. I help them blast through their barriers and leverage their achievements. They become winners and great communicators, team members, bosses and leaders! So, What’s Next for You and Me? The simple answer is, achieve our dreams and goals for Q4 and 2019. If you’re committed like I am, let’s get started now! Jeannette Seibly delivers “straight talk with immediate results” to business owners and executives of $1MM to $30MM enterprises, creating dynamic results. You may contact her at JLSeibly@SeibCo.com for an initial free consultation. Does Gratitude Make You a Better Boss?